Kentucky Fried Chicken recently announced the selection of Delaget Guard and Envysion as KFC’s preferred and fully supported loss prevention suite for the company’s more than 4,100 outlets nationwide. The announcement comes after a 120-day pilot spearheaded by KFC’s technology committee to determine best-in-class loss prevention solutions and to enhance support for franchisees. 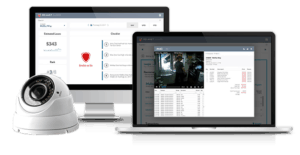 During the pilot, users experienced Delaget’s new integration with Envysion, KFC’s digital video recorder (DVR) system vendor, as part of a loss prevention suite. The Delaget and Envysion partnership is the new best practice for loss prevention, as it helps franchisees leverage advanced analytics to quickly find substantive theft, use video surveillance to validate and fully understand the context of those suspicious activities, and help guide restaurant managers on the immediate actions to take with prescriptive intelligence. “Choosing our preferred loss prevention suite was not something we took lightly,” said Chris Caldwell, chief information officer for KFC United States. spending hours reviewing footage or analyzing reports, they’re now able to easily isolate and identify issues and make quick responses. With a combined solution, it’s easier to determine if a situation is theft or a training issue,” said Jason Zakaras, owner of Zak Foods, a 27-unit KFC franchise. “We’re extremely proud to partner with an innovative QSR like KFC. Their expertise leveraging technology to focus on continuous improvement, employee training, and operational efficiencies aligns with our mission to help restauranteurs run smarter, more profitable restaurants,” said Jason Tober, Delaget chief executive officer.